These are a delicious way to make sure you’re getting all the nutrients you need, even if you’re controlling your calorie intake — being on a weight-loss journey doesn’t have to mean cutting flavour from your diet too. 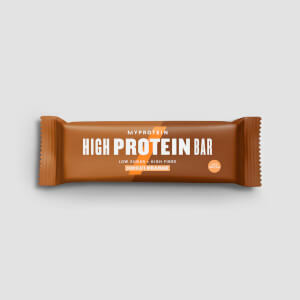 With 20g of high-quality protein per bar, these are great for keeping on track with training, as protein helps to grow and maintain important muscle1 — great for losing weight and toning up. Plus, at just 228 calories per bar, these are a perfect alternative to sugary, fatty snacks so you can satisfy your cravings without undoing any of your hard work at the gym. 2. Vitamin C contributes to normal energy-yielding metabolism. 3. Zinc contributes to normal carbohydrate and acid-base metabolism. 4. Vitamin A and iron contribute to normal function of the immune system. 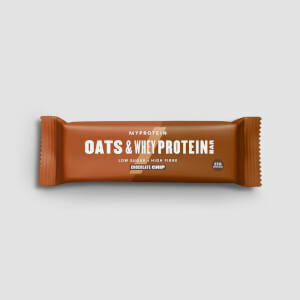 When to enjoy Protein Meal Replacement Bar? These are super-convenient so you can enjoy them whenever hunger strikes — bring them to work, the gym, or keep in your bag for a snacking emergency. What to enjoy Protein Meal Replacement Bar with? These bars are ideal when sticking to a calorie-controlled diet. To mix things up a little, try with a shake of our Meal Replacement Blend , each serving has just 200 calories and 18g of protein. Warning: Excessive consumption may produce laxative effects. It is important to maintain a varied and balanced diet and a healthy lifestyle. Store in a cool, dry place, out of direct sunlight. Suitable for vegetarians. For allergens, including cereals containing gluten, see ingredients in bold. May also contain barley, oats, eggs, peanuts, nuts and sulphur dioxide. 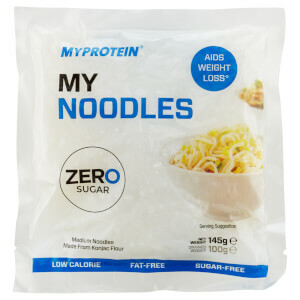 Salted Caramel Flavour: Protein Blend (38%) (Soya Protein Crisp (Soya Protein, Tapioca Starch, Raising Agent (Calcium Carbonate), Salt), Hydrolysed Whey Protein Isolate (Milk), Soya Protein Isolate, Emulsifier (Soya Lecithin)), Glucose Syrup, Milk Chocolate Flavoured Coating (14%) (Sweeteners (Isomalt, Sucralose), Palm and Palm Kernel Oil, Whey Powder (Milk), Fat Reduced Cocoa Powder, Fortified Wheat Flour (Wheat Flour, Calcium Carbonate, Iron, Niacin, Thiamin), Emulsifiers (Soya Lecithin, E476), Natural Flavouring), Sugar Free Caramel (11%) (Sweeteners (Maltitol, Maltitol Syrup), Skimmed Milk Powder, Coconut Oil, Bamboo Fibre, Milk Fat, Humectant (Sorbitol), Flavouring, Emulsifier (E471), Acid (Citric Acid), Salt, Preservative (E202)), Humectant (Glycerol), Fructo-Oligosaccharides, Mineral Blend (Di-Potassium Phosphate, Milk Mineral Complex (Calcium, Phosphorous, Magnesium, Potassium, Chloride, Iron), Sodium Chloride, Magnesium Oxide, Ferric Pyrophosphate, Zinc Oxide, Cupric Gluconate, Potassium Iodide, Sodium Selenite), Sunflower Oil, Flavouring, Vitamin Blend (L-Ascorbic Acid, DL-Alpha-Tocopheryl Acetate, Niacinamide, D-Biotin, Retinyl Acetate, Calcium-D-Pantothenate, Pyridoxine Hydrochloride, Folic Acid, Cholecalciferol, Thiamine Hydrochloride, Riboflavin, Cyanocobalamin), Antioxidant (Natural Mixed Tocopherols). Chocolate Fudge Brownie Flavour: Protein Blend (37%) (Soya Protein Crisp (Soya Protein Isolate, Tapioca Starch, Raising Agent (Calcium Carbonate), Salt), Hydrolysed Whey Protein Isolate (Milk), Soya Protein Isolate, Emulsifier (Soya Lecithin), Glucose Syrup, Milk Chocolate Flavoured Coating (14%) (Sweeteners (Isomalt, Sucralose), Palm and Palm Kernel Oil, Whey Powder (Milk), Fat Reduced Cocoa Powder, Fortified Wheat Flour (Wheat Flour, Calcium Carbonate, Iron, Niacin, Thiamin), Emulsifiers (Soya Lecithin, E476), Natural Flavouring), Chocolate Caramel Flavoured Paste (11%) (Sweetener (Maltitol), Fat Reduced Cocoa Powder, Coconut Oil, Bamboo Fibre, Humectant (Sorbitol), Flavouring, Emulsifier (E471), Acid (Citric Acid), Salt, Preservative (E202)), Humectant (Glycerol), Fructo-Oligosaccharides, Mineral Blend (Di-Potassium Phosphate, Milk Mineral Complex (Calcium, Phosphorous, Magnesium, Potassium, Chloride, Iron), Sodium Chloride, Magnesium Oxide, Ferric Pyrophosphate, Zinc Oxide, Cupric Gluconate, Potassium Iodide, Sodium Selenite), Sunflower Oil, Fat Reduced Cocoa Powder, Flavouring, Vitamin Blend (L-Ascorbic Acid, DL-Alpha-Tocopheryl Acetate, Niacinamide, D-Biotin, Retinyl Acetate, Calcium-D-Pantothenate, Pyridoxine Hydrochloride, Folic Acid, Cholecalciferol, Thiamin Hydrochloride, Riboflavin, Cyanocobalamin), Antioxidant (Natural Mixed Tocopherols). For allergens, see ingredients in bold. May also contain gluten, wheat, barley, oats, eggs, peanuts, nuts and sulphur dioxide. 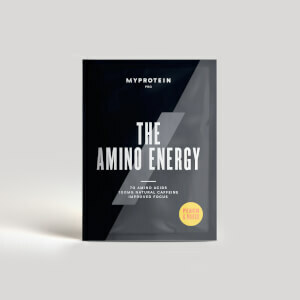 Mocha Flavour: Protein Blend (37%) (Soya Protein Crisp (Soya Protein, Tapioca Starch, Raising Agent (Calcium Carbonate), Salt), Soya Protein Isolate, Hydrolysed Whey Protein Isolate (Milk), Emulsifier (Soya Lecithin)), Glucose Syrup, Dark Chocolate Flavoured Coating (14%) (Sweeteners (Isomalt, Sucralose), Palm and Palm Kernel Oil, Fat Reduced Cocoa Powder, Emulsifiers (Soya Lecithin, E476)), Chocolate Caramel Flavoured Paste (12%) (Sweetener (Maltitol), Fat Reduced Cocoa Powder, Coconut Oil, Bamboo Fibre, Humectant (Sorbitol), Flavouring, Emulsifier (E471), Acid (Citric Acid), Salt, Preservative (E202)), Humectant (Glycerol), Fructo-Oligosaccharides, Mineral Blend (Di-Potassium Phosphate, Milk Mineral Complex (Calcium, Phosphorous, Magnesium, Potassium, Chloride, Iron) , Magnesium Oxide, Ferric Pyrophosphate, Zinc Oxide, Cupric Gluconate, Potassium Iodide, Sodium Selenite), Sunflower Oil, Fat Reduced Cocoa Powder, Flavouring, Vitamin Blend (L-Ascorbic Acid, DL-Alpha-Tocopheryl Acetate, Niacinamide, D-Biotin, Retinyl Acetate, Calcium-D-Pantothenate, Pyridoxine Hydrochloride, Folic Acid, Cholecalciferol, Thiamine Hydrochloride, Riboflavin, Cyanocobalamin), Antioxidant (Natural Mixed Tocopherols). Flavoured meal replacement bar for weight control with a milk chocolate flavoured coating with sugar and sweeteners.